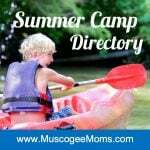 Join us for NIM Kid’s FREE Winter Film Fest with media sponsor Muscogee Moms! Looking for something to do with the kids during Winter Break? 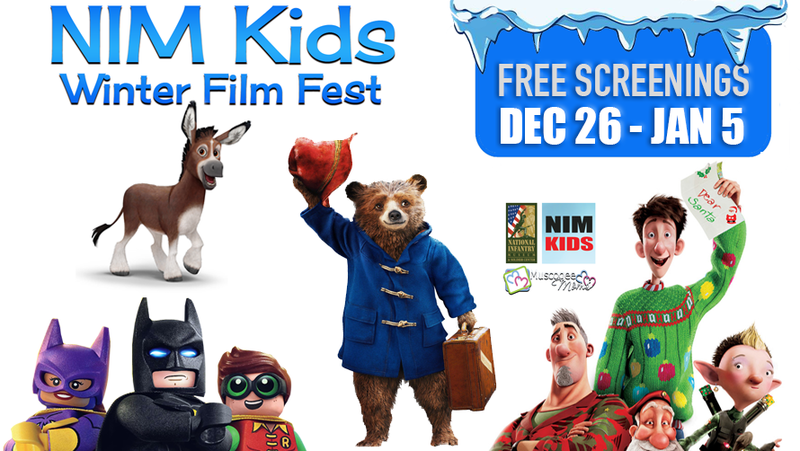 NIM Kids is hosting the 2018 NIM Kids Film Fest (Winter Edition) December 26 through January 5. The films are FREE to the public! Wednesday, Dec 26: 10:00 am: The Lego Batman Movie; 2:00 pm: Arthur Christmas. Thursday, Dec 27: 10:00 pm: Arthur Christmas; 2:00 pm: The Lego Batman Movie. Friday, Dec 28: 10:00 am: The Lego Batman Movie; 2:00 pm: Arthur Christmas. Saturday, Dec 29: 10:00 am: Arthur Christmas; 2:00 pm: The Lego Batman Movie. Wednesday, Jan 2: 10:00 am: The Star; 2:00 pm: Paddington 2. Thursday, Jan 3: 10:00 pm: Paddington 2; 2:00 pm: The Star. Friday, Jan 4: 10:00 am: The Star; 2:00 pm: Paddington 2. Saturday, Jan 5: 10:00 am: 10:00 pm: Paddington 2; 2:00 pm: The Star.